Morse Express has commissioned its eleventh annual Christmas Key. 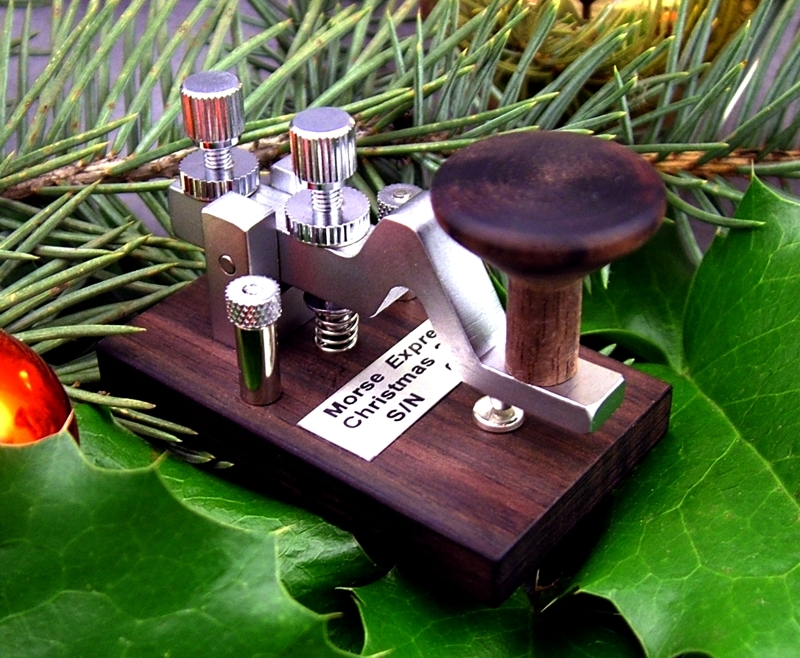 The 2011 Christmas Key is a miniature camelback key made by GHD Telegraph Key in Sendai City Japan, incorporating traditional Japanese craftsmanship with GHD's impeccable engineering and finish. In keeping with GHD's larger keys, the Morse Express 2011 Christmas Key is fully adjustable, with precision pin bearings at the trunnion, miniature binding posts, comfortable knob, and perfect balance. The contacts are hard-silver and the finish is satin chrome plate. The distinctive base is beautifully grained mahogany, and the knob is hand-turned. GHD's Toshihiko Ujiie uses both modern and traditional techniques to produce a miniature key that will be equally at home in the radio shack, in the field, or decorating a Christmas tree. According to Marshall Emm (N1FN), “the Christmas keys have always been a labor of love for me and my first priority has always been usability. GHD has brought considerable expertise to the precision manufacture of the Christmas keys, and the 2011 is about as small as you can make a key and still have good functionality.” The 2011 key measures 2" by 1-1/8" at the base and it weighs less than two ounces. The 2011 Christmas Key is a LIMITED EDITION of 180 keys priced at $89.95, plus shipping and handling. Each key has a label with “Christmas 2011” and a unique serial number. Pictures and more information are available on the Morse Express web site at www.MorseX.com where you will also find secure ordering facilities. Call (800) 238-8205 toll free to order by phone, or (303) 752-3382 for more information. The 2011 Christmas key will add something special to straight key operations through the Holiday season and on Straight Key Night. 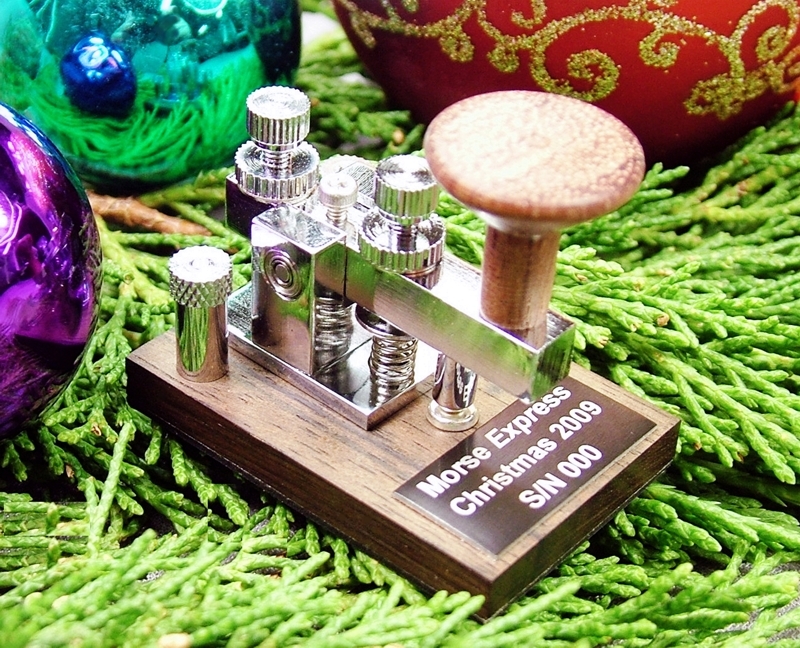 The Morse Express 2011 Christmas Key is $89.95 (plus s/h) and is available exclusively from Morse Express.